Rosalee (Bree Turner) surprises Monroe (Silas Weir Mitchell) with a getaway for his birthday and invites most of the gang to join them. 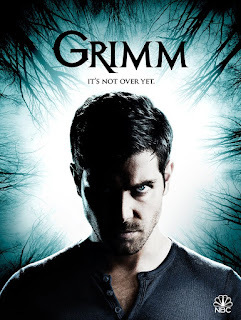 Things take a shocking turn when a hotel employee targets Nick (David Giuntoli) in an effort to avenge his father. Meanwhile, Eve (Bitsie Tulloch) gets a visit from a dark force that she has seen before. Elsewhere, Capt. Renard (Sasha Roiz) spends the weekend with Diana (guest star Hannah R. Loyd) when a former ally decides to get even. Russell Hornsby, Reggie Lee and Claire Coffee also star.